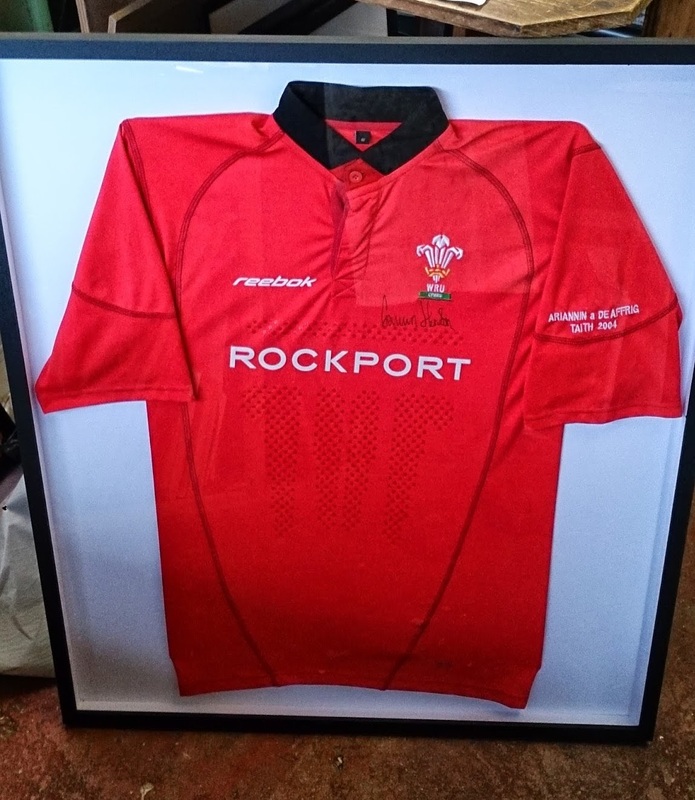 We have had a batch of football and rugby jerseys to frame over the past few weeks. One thing we have know in advance is that since they are probably batch produced they are hardly tailor-made in proportions. Plus, if they have been worn in a game the tugging and pulling they received renders them considerably out of shape. We have a method of framing and fixing them down. Generally, the overall size of the finished work is around 900mm x 750mm and the cost complete is £69.00 on average.